Book Soon - Only 3 stateroom categories remain available on this voyage! Like her sister ship, the Azamara Journey is a mid-sized beauty with a deck plan well-suited to the needs of modern voyagers. In addition to going to the most celebrated destinations on Earth, youll also go to less-traveled ports, enjoy scenic rivers and waterways that are off-limits to big cruise lines, and sail to the doorstep of great cities like Seville, Hong Kong, and Bordeaux. You'll never feel crowded in the comfortable social spaces of her bars, restaurants, and lounges. Youll love the genial club-like atmosphere and the way the attentive staff and crew get to know you. And youll feel the same friendliness with your fellow voyagers. 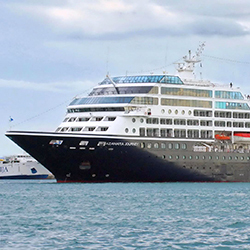 Book a select Azamara Club Cruises voyage by May 31, 2019 and receive 50% off the cruise fare of the second guest and $500 onboard credit per stateroom. Get unlimited Wi-Fi when you book an oceanview or higher stateroom. Immerse yourself in one of the world's most beautiful destinations with 3-night City Stays Package in Venice. Navigate your own path along ancient canals, join a chef led cooking class, and discover the gastronomical traditions of Venice on a private tour. Discover the 1,500-year history and skills of one of Venice's most iconic professions with your own private gondolier training. Shop for fresh produce and seafood at the Rialto Market, then go to a Venetian villa for a hands-on cooking class, where you'll prepare a traditional meal, paired with wines. Try historic techniques at a local mask-making workshop. Enjoy a unique "aperitif on board" experience as you explore the city, islands, and lesser-known canals of Venice from an elegant motorboat. 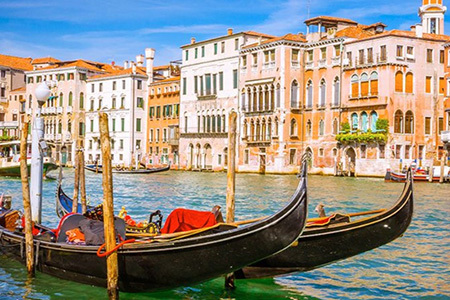 Your stay in Venice includes three nights' accommodation, select meals, and transportation services from the port or airport to the hotel, concluding with a prearranged driver taking you to the airport or port, depending on if this is a pre- or post-cruise package.